Join Models Direct on Facebook! 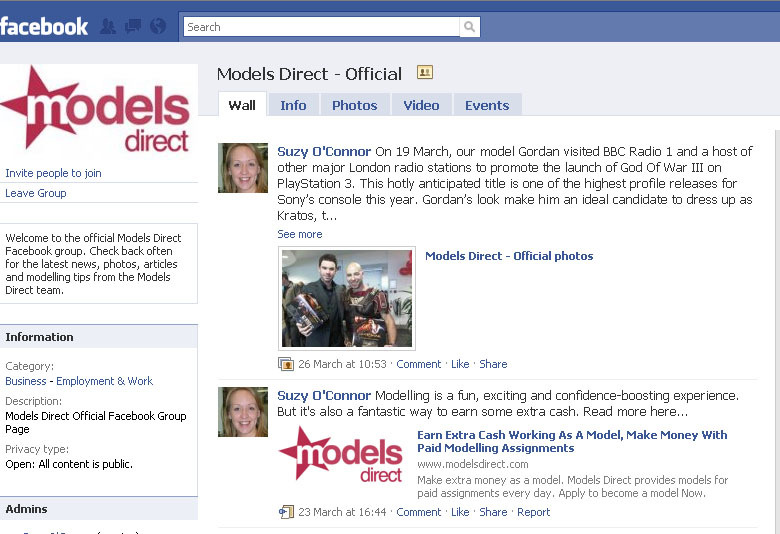 Models Direct has just launched an official Facebook group! Click and join us here to keep up to date with the latest Models Direct assignments and news. Author BethanyPosted on March 31, 2010 March 31, 2010 Categories commercial modelling, Modelling, modelling assignments, models, Models DirectTags commercial modelling, commercial models, facebook, model agency, model agent, Modelling, modelling agency, modelling assignments, models, Models DirectLeave a comment on Join Models Direct on Facebook!